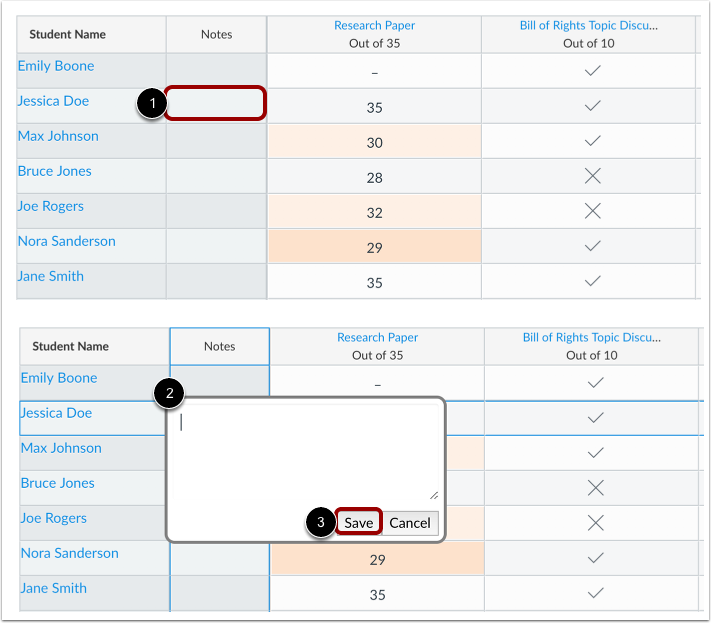 You can use a Notes column in the Gradebook to keep track of extra information in your course, such as extra student information or general notes. 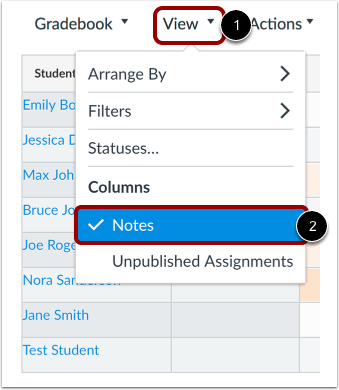 The Notes column is not visible to students. Instructors can only show and hide the Notes column. Admins can use the API to create additional columns, but they cannot be hidden. The Notes column is included in the gradebook export CSV file, and you can add notes via CSV import. Click the View menu  and click the Notes link . 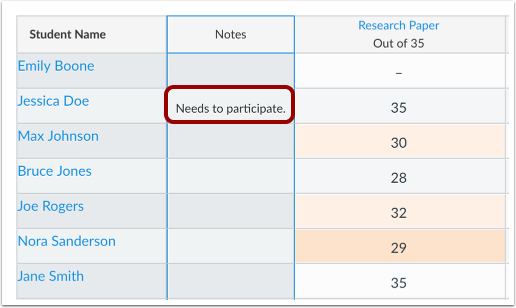 To make a comment, click the note field for the appropriate student  and enter your note in the text field . The note field allows up to 255 characters. To save your comment, click the Save button . View your comments in the Notes column. You can view the full comment by resizing the column or re-clicking the notes text field. Note: When you navigate away from the Gradebook, any changes to the size of the columns will be lost. To hide the Notes column in the Gradebook, click the View menu  and click the Notes link . Note: Hiding the Notes column does not lose any changes. Previous Topic:How do I view grades for inactive or concluded student enrollments in the New Gradebook? 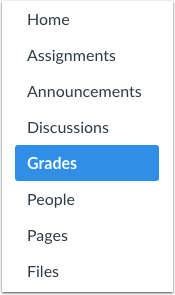 Next Topic:How do I view the Unpublished Assignments column in the New Gradebook? 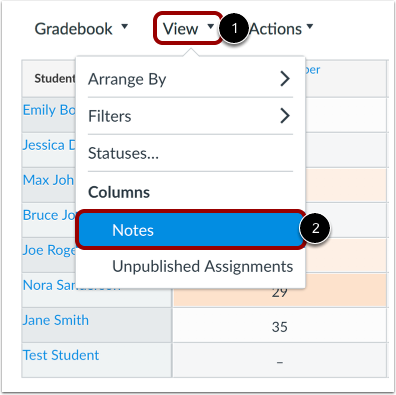 Table of Contents > New Gradebook > How do I use the Notes column in the New Gradebook?